Exploring Roda Golf from the skies! Hi all. This week we're excited to tell you that Google Earth has updated it's satellite imagery of the whole Murcia area! And we have a special gift for you to download too! We have assembled a folder full of Roda Golf Placemarks for you to use in Google Earth. 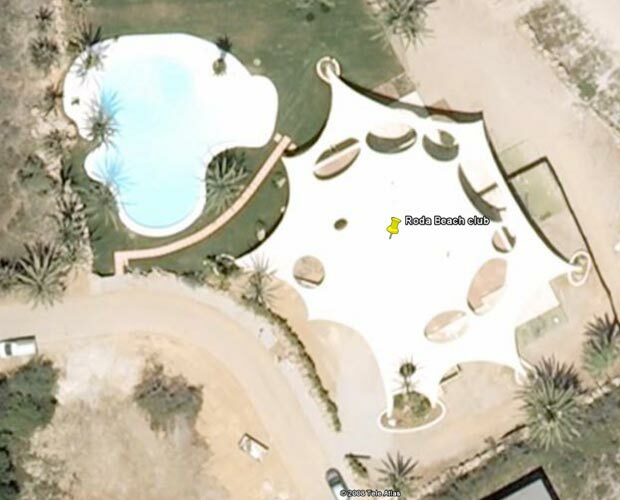 Inside the folder you will find placemarks for the main Roda Golf site, and the Beach Club in La Manga. Furthermore, if you open that folder in Google Earth you can turn on placemarks for every hole on the course (including a description), Roda Golf amenities, and even placemarks for each of the phases. We're sure this will prove a very useful tool for you, and for anyone who is interested in the layout of Roda Golf, the location of the beach club, and the general location within Spain. Download Google Earth and install it (it's completely free from here: Download Google Earth. Just click "open" and the placemarks will load inside Google Earth! Double click any placemark to fly to that location! We hope you enjoy taking a look around the area on Google Earth. If you have any ideas of things we can add to the placemarks folder just let us know and we can release "mark II"! Oh and stay tuned this week! In a couple of days we are releasing a small video showing a "walkthrough" of the beach club, showcasing the restaurant, bar area, and the upstairs lounge!